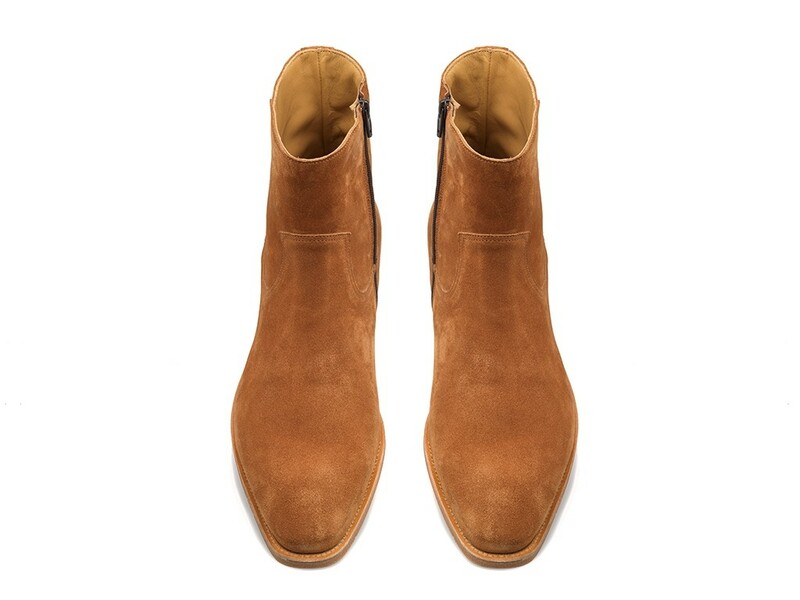 These sleek side-zip boots have been crafted from exceptionally soft tan suede, and will make the most perfect sophisticated addition to any gentlemans wardrobe. The streamlined silhouette and slightly tappered toe makes for an immaculate style. 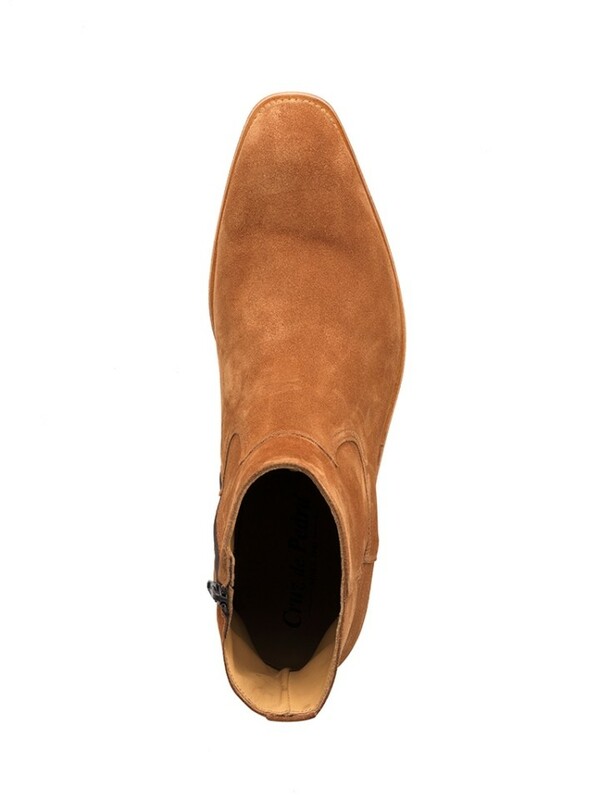 This boot has been is finished by a ballerina shaped toe and double stitched seams throughout.